Few weeks ago I had to use my Blackboard Eats coupon for Porchetta or I’ll have wasted my $1. The deal was good for 1 to 4 people, so I decided to ask Jeff and Corrine (they have never been to Porchetta) to have a piggy dinner. 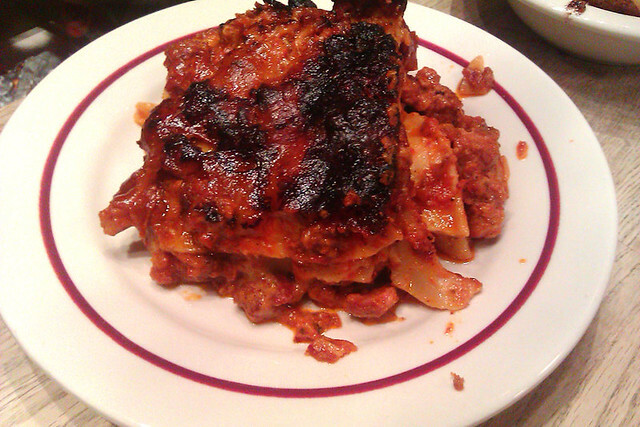 I had found out about Porchetta serving lasagna from my friend’s tweet…eh….something like last year. I’m glad when I was there, it was still on the menu and lucky for us we got the last piece. This is no ordinary lasagna. It was massive and filled with chunks of pork ragu. It was quite good. 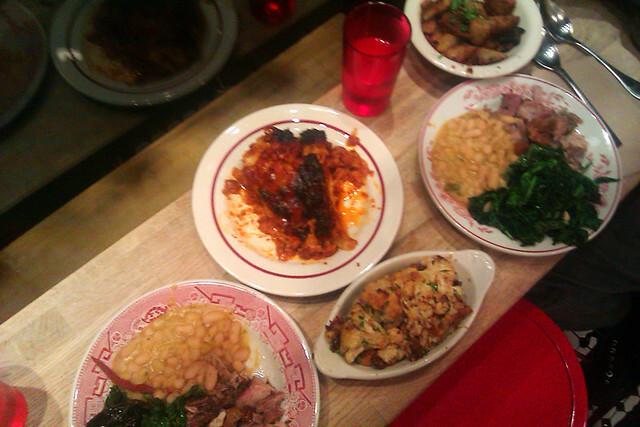 Besides the lasagna we also ordered 2 pork plates (came with greens and beans), potatoes with burnt ends (had to) and roasted cauliflowers with olives. 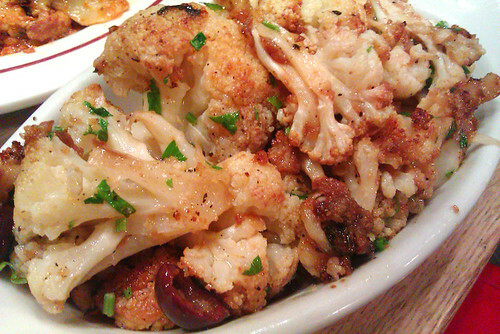 The cauliflower dish was on their specials menu and it was……interesting. It tasted interesting, may have been from the olives and I’m not a big fan of olives, but it was pretty good. 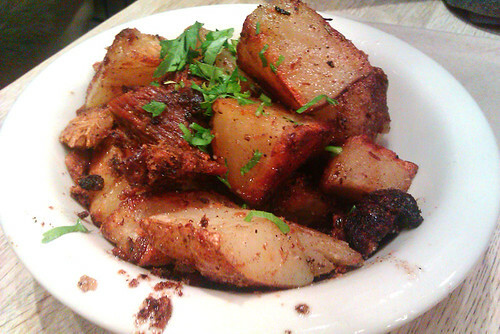 I’m sure if you love pork, you have already been to Porchetta but it’s also good for vegetarians. They do have a veggie sandwich and few veggie sides. It’s great when the weather is nicer and you can sit outside on the benches and munch of pork.